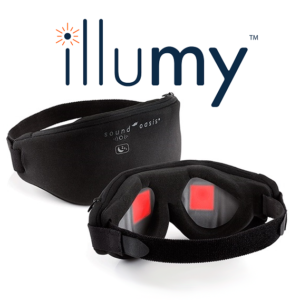 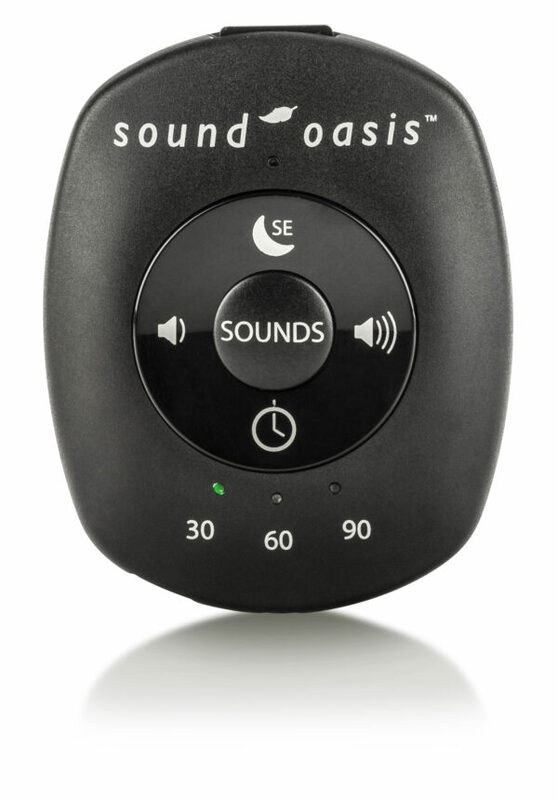 Portable SLEEP therapy wherever you go! 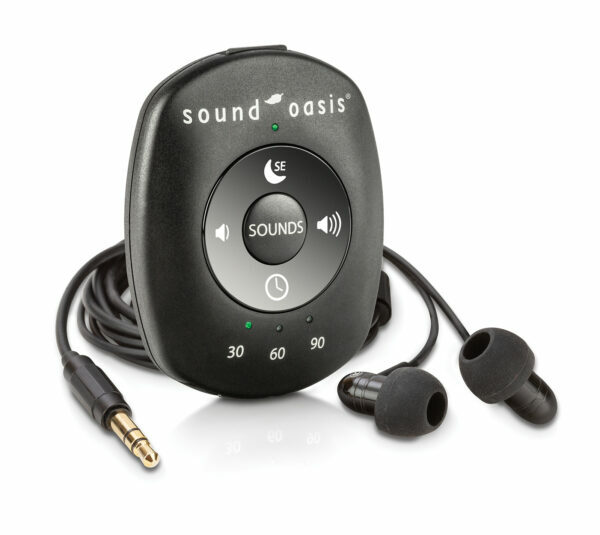 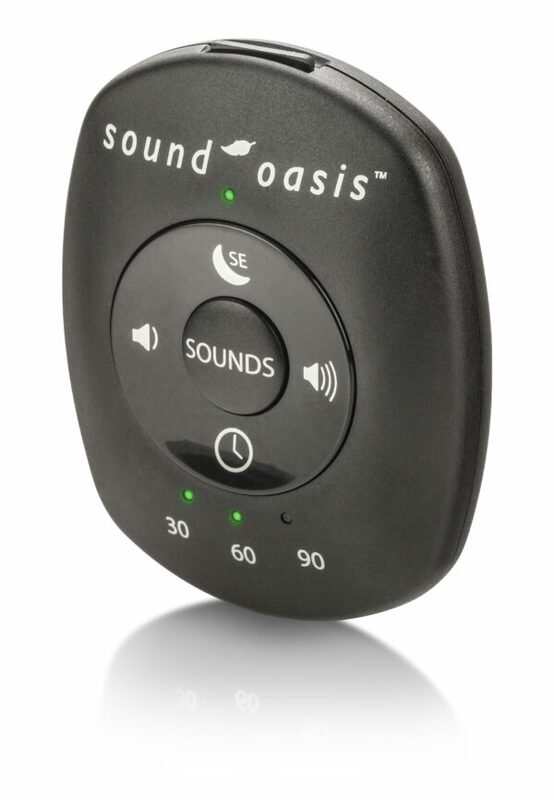 The World's Smallest Sound Machine® will help you relax, fall asleep easier, get higher quality sleep, manage tinnitus, and even improve concentration during the day. 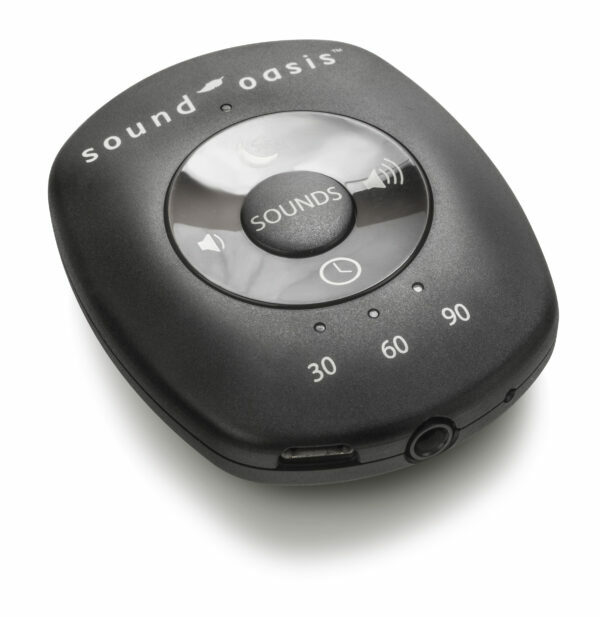 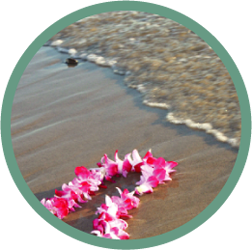 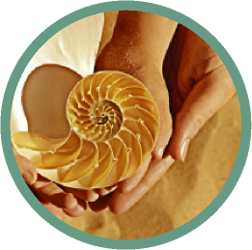 Our unsurpassed collection of therapeutic sounds are selected to provide you with the best possible solution for your needs. 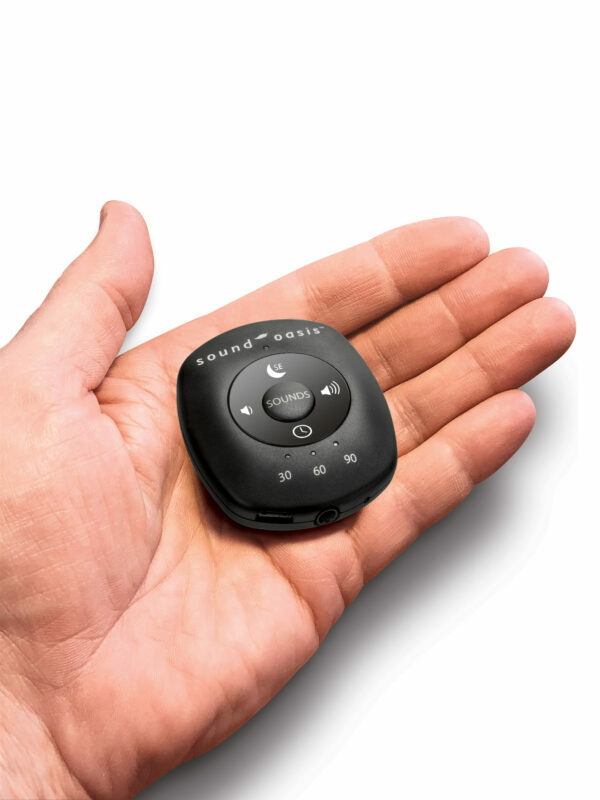 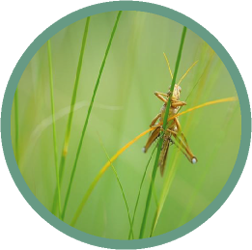 Adding new sounds could not be easier thanks to the large collection available on our custom sound card creator. 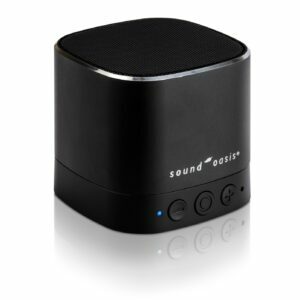 Choose from over 150 unique sounds! 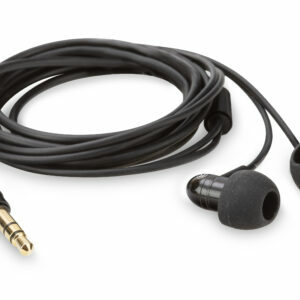 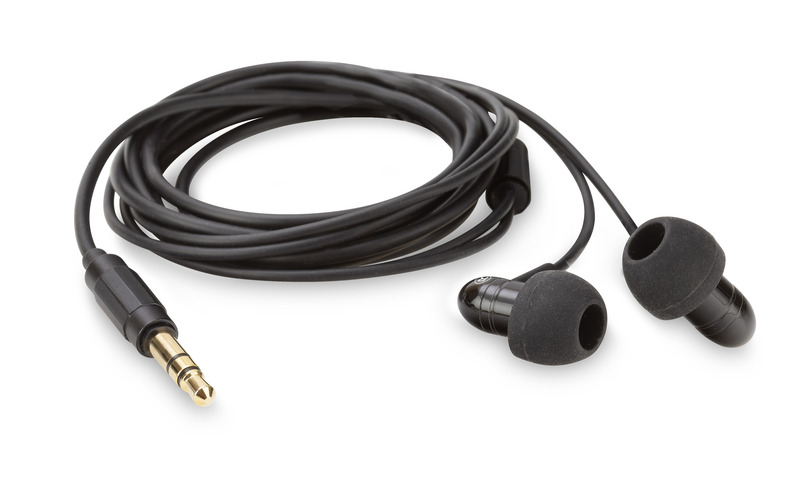 The included premium earbuds have 3 different size adapters for the perfect fit. 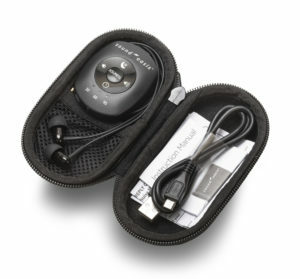 The tangle resistant cord also ensures that they are ready to go whenever and wherever you are. 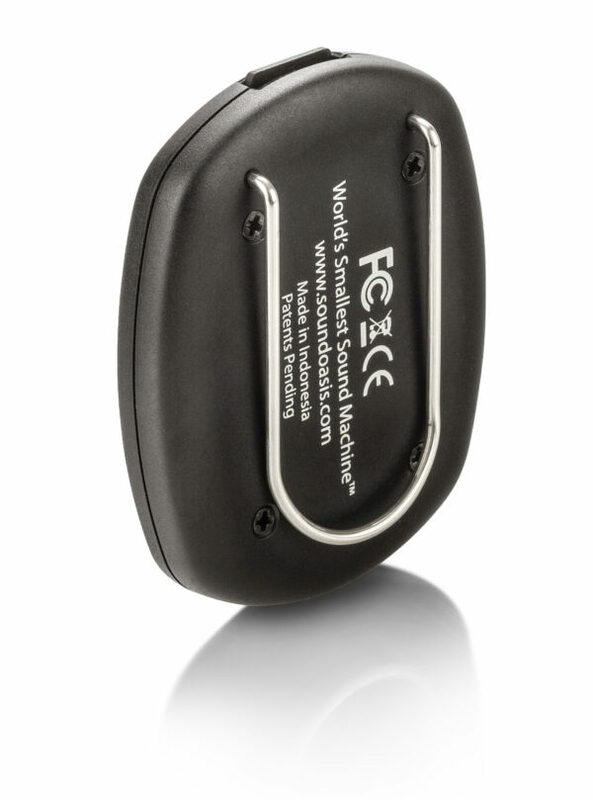 The aluminum construction means that they are also tough enough to withstand being stored in a pocket, backpack, or purse. 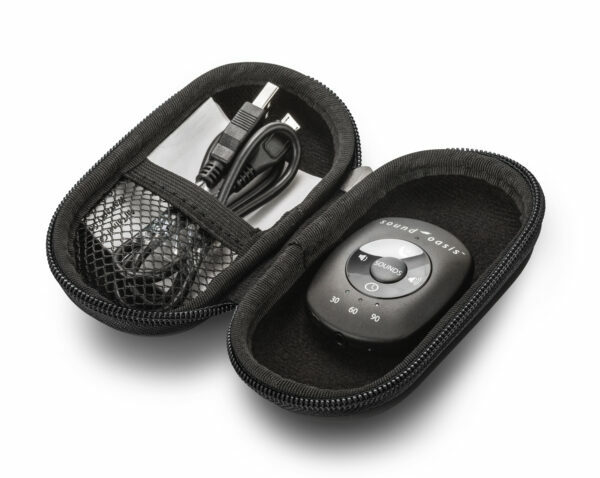 This helpful device has a built-in rechargeable battery which charges by included USB cable. 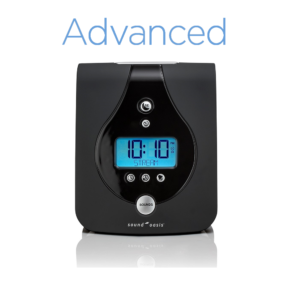 It has 15 hours of run time per charge but it can also be played continuously by plugging in the USB cable so you can use it all night. 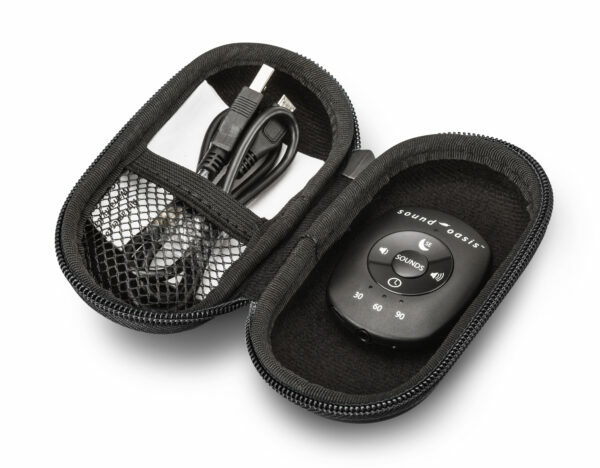 The volume control allows you to set the output level just right and the built-in clip allows you to attach it to your pocket or clothes. 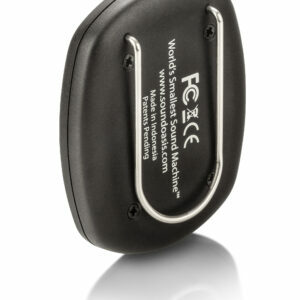 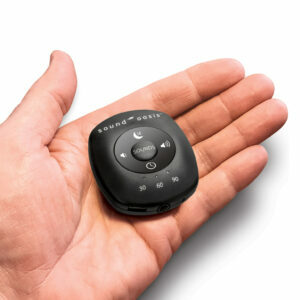 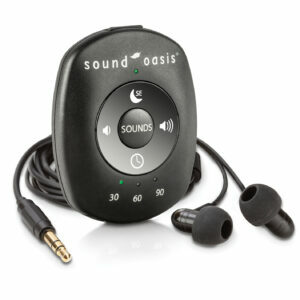 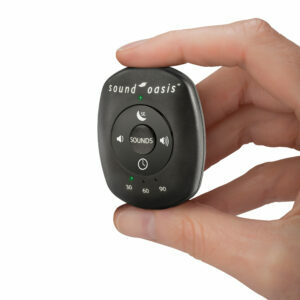 Keep your S-002 Worlds Smallest Sound Machine® looking as good as new with the included travel case. The travel case not only keeps your device safe, it also provides a handy place to store your charger, earbuds, and extra earbud tips. 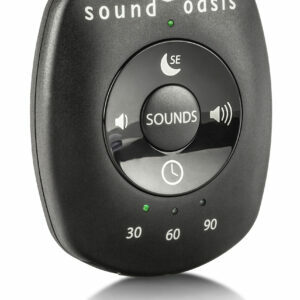 Manage tinnitus with this small and powerful white noise machine all day. 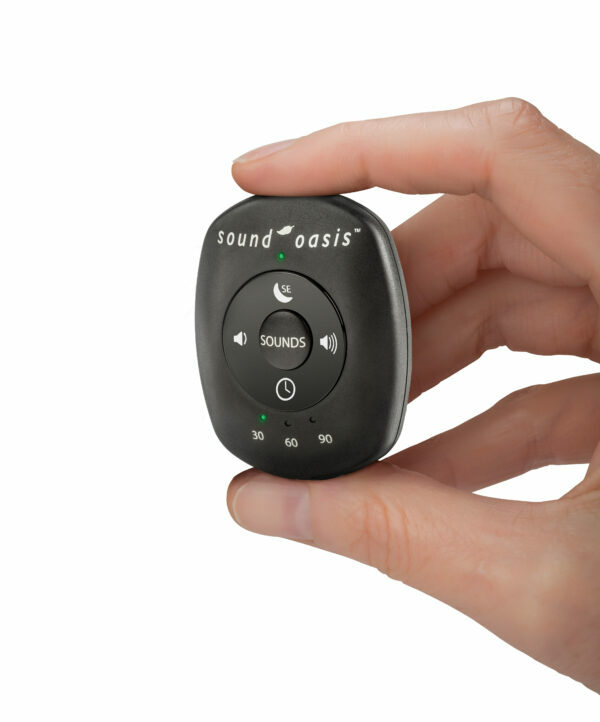 Whether you need a quiet low level sound to mask tinnitus or just sounds to help you concentrate, the world's smallest white noise machine is for you. 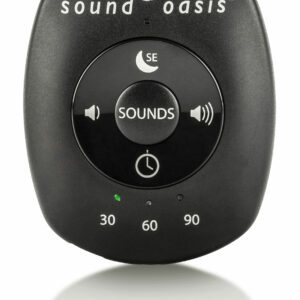 White noise is a natural, clinically proven sound that helps people sleep and concentrate better. 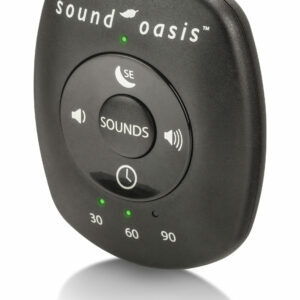 Perfect for improving sleep, blocking noise, managing tinnitus, dorms with 24 different doctor developed sound tracks. 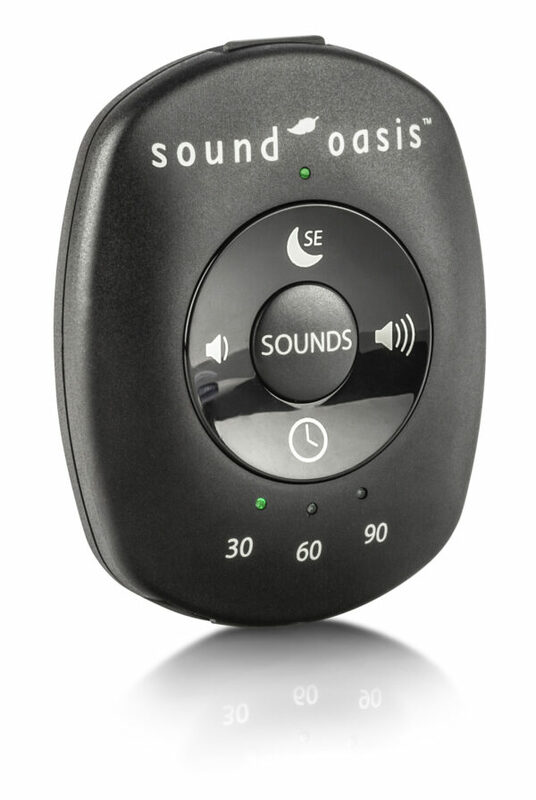 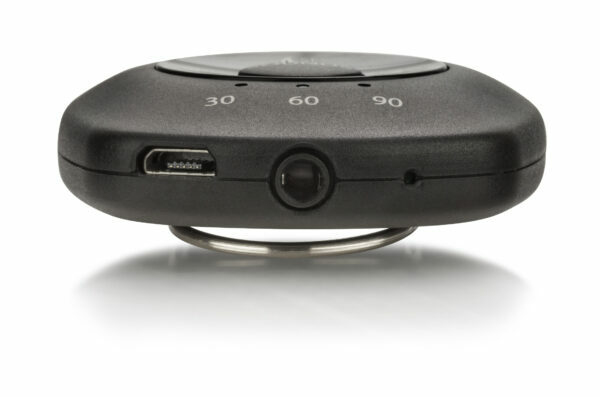 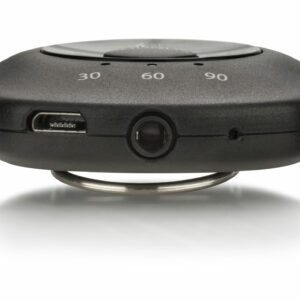 Built in 30, 60, 90 timer allows you to listen to your chosen sound while falling asleep, or turn the timer off for uninterrupted all night sounds.